At a time when the majority of the world's population is urban, the sustainable development of cities is more relevant than ever. New urban models need to be invented to be conceived more respectful towards people and the planet. Increasing size of contemporary cities, as well as their day-to-day growing complexity, gives city stakeholders the opportunity to incorporate information and communication technologies in the provision of municipal public services, while developing participation-sensitive governance tools, paying special attention to the efficiency of processes, especially in energy & water systems and its sustainability. Next Tuesday, December 11th, at 17:00 (CEST), Zigurat Global Institute of Technology will present the next seminars series about the new careers opportunities in this field in worldwide. 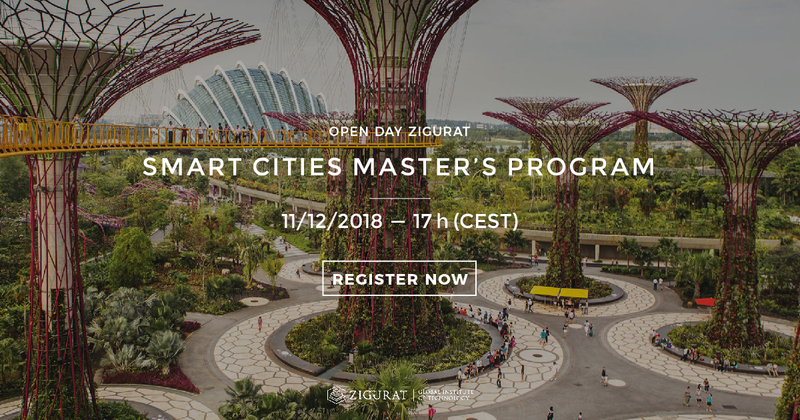 The presentation will be held by Rafael Riera, director of the BIM/VDC and Smart Cities department will be presenting the Master's in Smart Cities.